Do you have memories of the Battle of Britain? 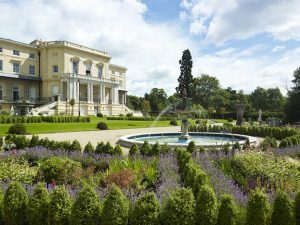 Bentley Priory Museum is keen to speak to people from around Stanmore and nearby areas who have memories from the Battle of Britain period. Staff at the museum have collected stories from people who worked on the RAF base and are interested in the recollections of people who lived nearby. Did you live in the area in 1940? Perhaps you knew someone who worked on the base. Or had air force personnel billeted in your home. Maybe you remember seeing planes flying overhead and hearing reports of the battle. The museum is developing resources linked to Remembrance Day for schools and community groups. The resources will explore the stories behind Remembrance and how we remember the past. Between 10 July and 31 October 1940 the Battle of Britain was fought in the skies above southern England, between the fighter planes of the Royal Air Force and the German Luftwaffe. Bentley Priory was the RAF’s Headquarters Fighter Command during the battle, communicating vital information between observers on the ground and the fighter squadron HQs. The victory successfully halted Germany’s plans to invade Britain. Long the spiritual home for veterans of the battle, Bentley Priory Museum opened to the public in 2013 to tell the stories of the heroic aircrew and the dedicated men and women who supported them. It continues to act as a place of remembrance and welcomes visitors from all over the world. Previous Previous post: Heath Robinson Museum Open! Next Next post: Relocation of Pedestrian Crossings to be Completed!